Manchester United would go level with Chelsea in fourth place with a victory over Burnley at Old Trafford this evening with the Blues not playing until 24 hours later. Ole Gunnar Solskjaer’s winning streak was extended to nine games on Friday night with a convincing 3-1 win at Arsenal in the FA Cup fourth round. Visitors Burnley are unbeaten in their last four Premier League games taking 10 points, but were hammered 5-0 at Manchester City in the FA Cup on Saturday. Rested for the trip to the Emirates Stadium in the FA Cup, David de Gea will return to the starting XI this evening, looking to keep a third clean sheet in four games. 33-year-old Ashley Young could be rested at right-back with youngster Diogo Dalot given another opportunity to impress. The Portuguese provides a good cross from the right and as we’re expecting to dominate possession this evening Dalot could be a useful weapon. As can Luke Shaw at left-back with the England international liking to bomb forward himself. Phil Jones and Victor Lindelof could remain the centre-back partnership but Eric Bailly is waiting for an opportunity to get another start. Chris Smalling is available for the first time under Ole’s reign but I don’t expect him to be named in this evening’s starting XI. 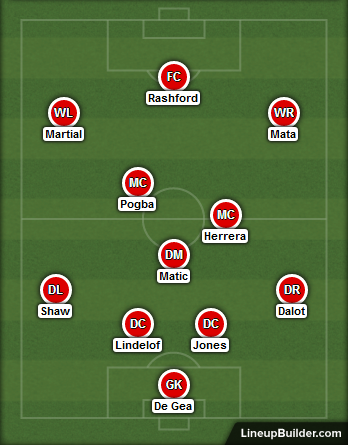 We don’t play again until Sunday so I think the boss will stick with his strongest midfield trio and not rotate the likes of Fred or Andreas Pereira into the starting lineup. This means Nemanja Matic sitting in front of the back four, Ander Herrera maintaining possession for us in the middle of the park and Paul Pogba looking to be involved in the goals going forward. Alexis Sanchez and Romelu Lukaku performed well in the FA Cup but two starts in a week for the Chilean may be too much considering he’s only just back from injury. 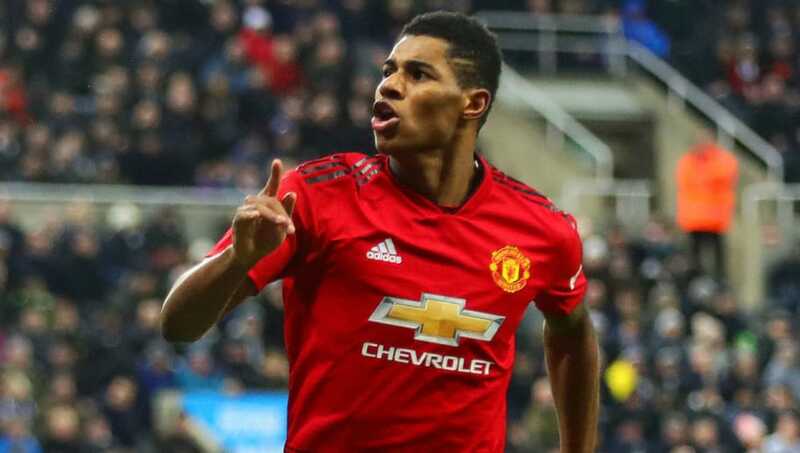 Marcus Rashford should return to the starting lineup ahead of Lukaku considering his excellent performances under Solskjaer. Jesse Lingard started the FA Cup tie on the right wing so we could see Juan Mata come into the team this evening. The team looks sharp under interim coach. Please keep on improving reds.